In August of 2011 Fort Bend Green worked with strategic partners to submit an application for National Park Service assistance in developing a Recreation Master Plan for the Brazos River. The partnership effort was awarded the assistance of the National Park Service (NPS) through its Rivers, Trails and Conservation Assistance Program (RTCA). Representatives from Fort Bend County, local municipalities, master-planned communities and private landowners from the study corridor, along with representatives from Brazos Bend State Park, were invited to join representatives from Fort Bend Green to become the Steering Committee for the Brazos River Corridor Recreation Master Plan. Facilitated by the National Park Service, this large group of interests was sought to ensure a broad base that reflected diverse community perspectives. In the fall of 2011, the Steering Committee began to meet regularly with the NPS planners to shape the scope and look of the Recreation Master Plan. As one of its first tasks, the Steering Committee defined the study corridor as two-and-a half miles on either side of the Brazos River, inside the limits of Fort Bend County. This five-mile wide corridor extends far enough to allow for new connections to be made to existing recreational facilities that are near but not adjacent to the River. Yet it is contained enough to keep the focus on development of recreational facilities and activities that are River-related. The Steering Committee also identified other key stakeholders having an interest in the study corridor and important insight to include in the planning process. These key stakeholders included elected public officials, government staff, municipal utility district Boards of Directors, business leaders, and heads of local recreational clubs and environmental organizations. Early in the winter of 2012, the Steering Committee crafted Vision and Goals Statements that sought to capture the essence of the diverse community’s desires to protect the Brazos River resources for environmental, economic, social, and health-related reasons. Also during this time, Steering Committee members gathered data and plans for land use, parks, recreation facilities, and transportation facilities, and analyzed them for impacts to the Brazos River Plan study corridor. The plan information was compiled in a geographic information system (GIS), along with other data such as flood zones, land ownership, and jurisdictional information. In the spring of 2012, Steering Committee members individually contacted the key stakeholders that were identified previously and conducted one-on-one interviews with them to gather their perspectives regarding aspirations for and concerns about recreational development along the Brazos River in Fort Bend County. In the summer of 2012 the Steering Committee developed an online public survey to target citizens and potential users of River-related recreational facilities in the study corridor, whether Brazos River Corridor Recreation Master Plan they were residents or not. The survey questions were designed to inquire about respondents’most desired types of River-related activities and facilities, what issues of River-related recreation were at the forefront of concern, and what efforts toward protection of the River were deemed most important. The survey also asked for input or validation of the Plan’s Vision and Goals. The online survey link was published and distributed with the help of press releases, emails to stakeholders and community organizations, postcard postings in corridor coffee shops and Fort Bend public libraries, and word-of-mouth referrals. The survey was deployed from the Fort Bend Green website for 11 weeks and collected over 700 responses from the public. 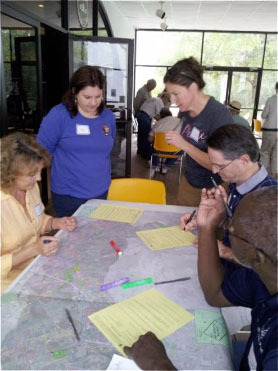 In January 2013 the Steering Committee hosted three Community Workshops held at different sites in the eastern (Brazos Bend State Park), western (Fulshear), and central (Sugar Land) portions of the study corridor. They were strategically scheduled at different times on different days, including a weekend afternoon, to foster a broad range of opportunity for attendance by interested participants. Each workshop began with an introduction by a local Steering Committee member, and then the Fort Bend Green Liaison recapped the Steering Committee’s planning activities to-date, and the results of the online survey were presented. The attendees were then asked to break into small groups around map tables, and encouraged to suggest and draw “project ideas” such as conservation areas, parks, trails, and canoe/kayak launches on corridor-wide maps. This process resulted in a total of over 100 suggested projects which spanned the corridor, many of which overlapped in geography and concept. Following the Community Workshops, the Steering Committee subdivided into groups, representing six geographic segments of the study corridor, and enlisted the aid of additional representatives from their respective communities to review, “ground truth” and prioritize the project ideas for their study corridor segment. Project sites were visited, documented, and photographed, if possible. Steering Committee members led their segment groups in the assessment of each site in terms of land availability, construction feasibility, what kind of support or funding might be likely for the suggested project from jurisdictions, private, or public entities, and how well it met the Plan Vision and Goals. For each study corridor segment, this process produced a list of high-priority projects and a list of projects for longer-term consideration. The Steering Committee compiled the work of the segment groups, along with all the data and input collected throughout the planning process, into this Brazos River Corridor Recreation Master Plan. Brazos River Corridor Recreation Master Plan The projects proposed in the Brazos River Recreation Master Plan are intended to be the first steps toward the long-term development of an extensive river recreation corridor. Successful development of these projects will require strong partnerships among governmental bodies, community groups, businesses and landowners. 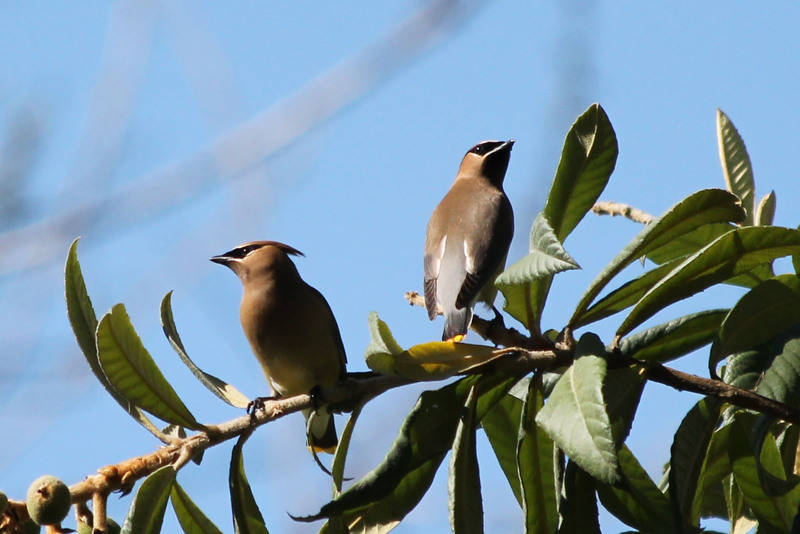 In January 2015 Fort Bend Green was awarded the Houston-Galveston Area Council 2014 Parks and Natural Area Awards Winner in the Planning Process Category. Fort Bend Green will continue to develop partnerships, identify potential funding sources and sources of assistance, and add “Success Stories” to the Plan as initiatives and projects are implemented. Project partners will implement projects within their jurisdictions as opportunities and resources allow.